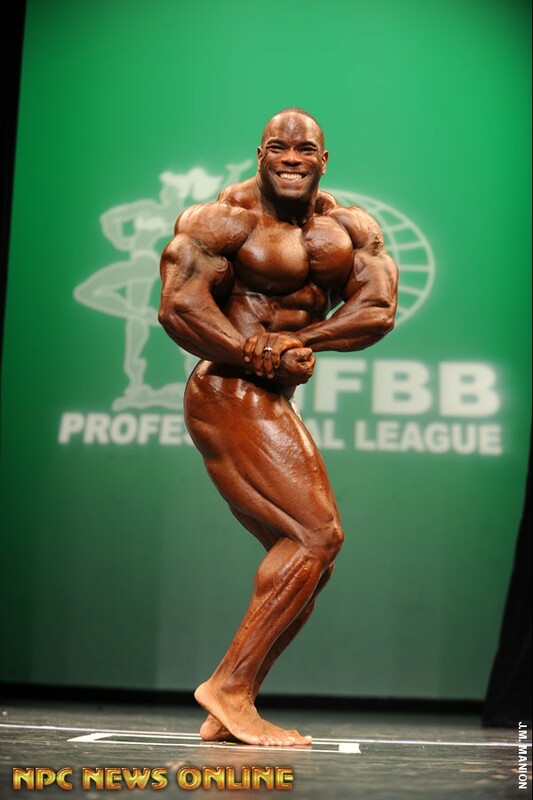 Home Articles 2012 IFBB NY Pro Final Results & Galleries! 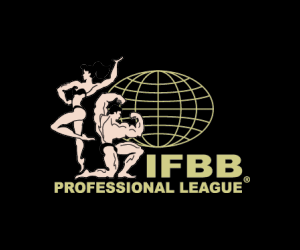 2012 IFBB NY Pro Final Results & Galleries! 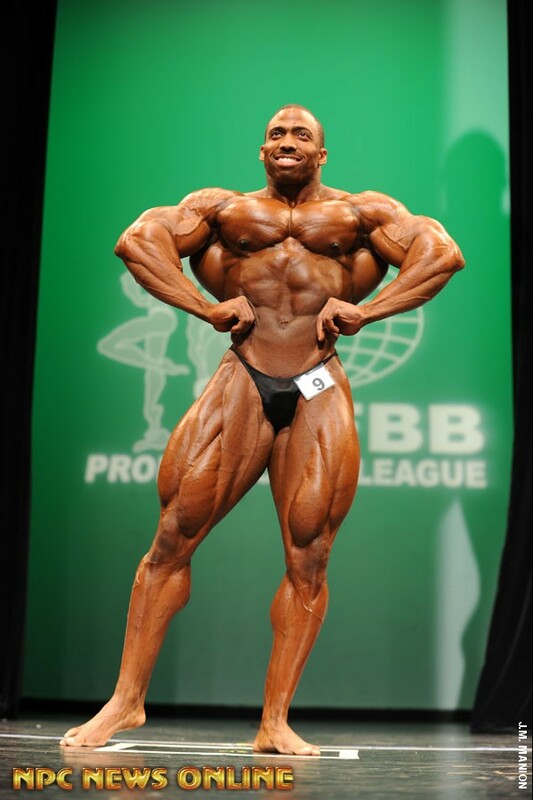 With a record-breaking 110 competitors in six divisions, the 2012 New York Pro promised to be one for the ages. It didn’t disappoint, as Cedric McMillan, Kevin English, Candice Keene, India Paulino, Mark Anthony Wingson and Julianna Malacarne all came away with wins in their respective divisions at the Tribecca Performing Arts Center on Saturday night. Go here for full galleries and placings! One year after hitting rock bottom in the very same city, Cedric McMillan returned to New York to experience the other end of the spectrum by showing up in his best-ever condition and edging out the seemingly ageless Johnnie Jackson for the second win of his career. Last year, McMillan came to The Big Apple on the heels of his first professional win at the Europa Show of Champions. 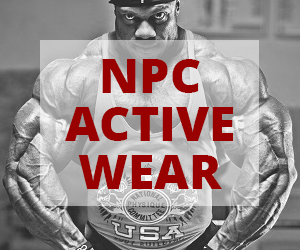 Despite the win, McMillan had clearly regressed from the form he showcased when winning the Super Heavyweight and Overall titles at the 2009 NPC Nationals, when most in attendance saw his potential and dubbed him a star-in-the-making. Reality hit a few weeks later in New York when McMillan fell to 11th in NY and was written off as another high-potential amateur who couldn’t cut it in the pros. But on Saturday, McMillan answered back with a combination of size, fullness and conditioning that once again puts him back in the spotlight as one of the best – if not the best – of the new generation of IFBB athletes. It wasn’t easy, as the 42-year-old Jackson continued to defy the odds. Jackson won the third contest of his career at FIBO Power in April in what even he believes was his best-ever form. He wasn’t that far off from it in New York, as just one point separated the top two heading in to the finals. In the end, however, McMillan’s combination of size, balance and conditioning was enough to send Jackson to his second consecutive runner-up finish. 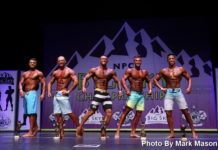 The contest’s secondary story line was who among the talented rookie trio of Steve Kuclo (2011 NPC USA Super Heavyweight and Overall winner), Juan Morel (2011 USA Super Heavyweight runner up, 2011 IFBB North American Overall winner) and John Delarosa (2011 NPC USA Heavyweight winner) would come out of the gates the fastest. Just like he did at the USAs, Kuclo won that battle again, just like he did at the USAs – but not by much. Only one point separated Kuclo and Morel. Delarosa finished 5th in what should be the first of many memorable matchups between the three. Kevin English continued his impressive undefeated streak, but it wasn’t easy. English, who has won the last three 202 Showdown titles on Olympia Weekend, entered as a three-time New York Pro 202 champ. 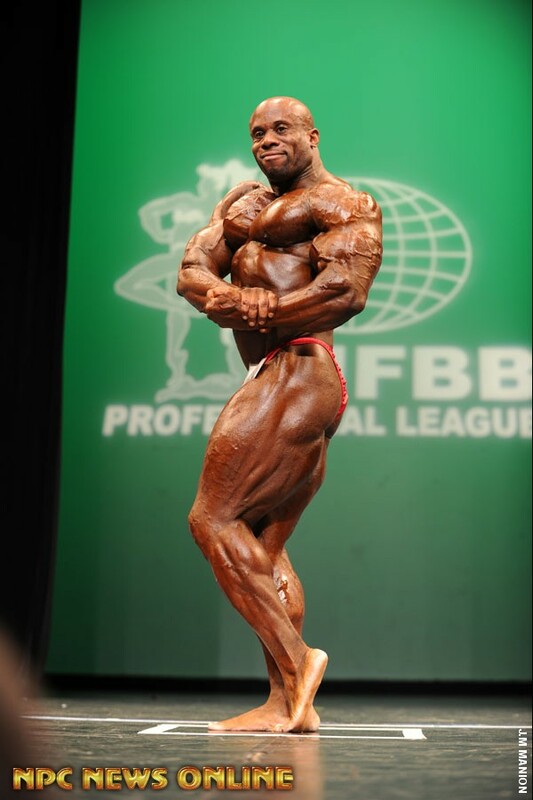 He elected not defend his NY title in 2011, opening the door for Boston’s Jose Raymond to score a narrow victory over Flex Lewis at last year’s event. This year, Raymond was expected to provide English with his toughest challenge, but Sami Ebrahim Ali Alhaddad apparently didn’t get that memo. Alhaddad, the winner of the first-ever Amateur Olympia in 2011, slid in to the runner-up spot instead, beating Raymond out by six points. All the precontest hype centered around the midseason showdown between Candice Keene and Ava Cowan, who had flip-flopped in the No. 3 and 4 spots the last three times they faced off. The record read Keene 2 (3rd at the 2011 Sheru Classic and this year’s Figure International), Cowan 1 (3rd at the 2011 Figure Olympia). And while Keene did her part by coming in at what was arguably her all-time best, Cowan pushed the conditioning envelope a little too far, opening the door for the fast-rising Heather Dees to slide into the runner-up spot. For Keene, the win was her second in a row – she won the Europa Show of Champions three weeks ago – and 5th of her career and cements her as one of the top three competitors in the sport. India Paulino continued her hot streak by winning for the third time in her last four outings. The lone setback was her runner-up finish at the Bikini International in March, which can’t be considered much of a setback. Paulino’s other two wins came in December at the Pro World Bikini Championships and two weeks ago at the Pittsburgh Pro. The results were a carbon copy of Pittsburgh, as Jamie Baird and Yeshaira Robles once again finished 2nd and 3rd, respectively. 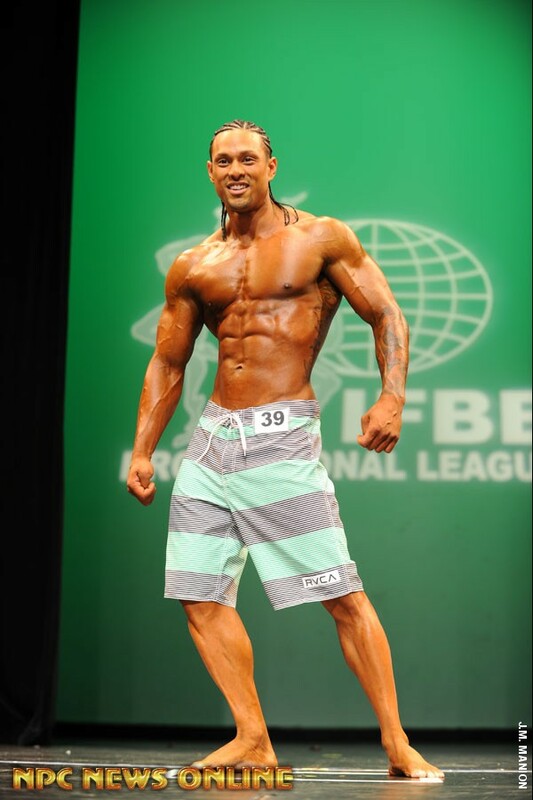 Mark Anthony Wingson has quickly set the standard for the new IFBB Men’s Physique Division. Wingson has started the year by going 3-for-3 in Men’s Physique contests. That number would likely be 4-for-4 if Wingson hadn’t elected to sit out the Governor’s Cup in March, the first-ever IFBB Men’s Physique competition. Collin Humphrey placed second to Wingson for the second consecutive contest. Humphrey also placed second at the Europa Show of Champions on April 28. Eddie Baird rounded out the top three for his second straight third-place finish. When the Women’s Physique Division was announced over a year ago, many in the know pointed to Brazilian Juliana Malacarne as the new divisions “ideal” physique. Normally placing the label of “the ideal” on a competitor doesn’t work out too well, but Malacarne could be the exception to the rule. Often deemed too muscular, Malacarne suffered through a series of disappointing placings in figure after winning the Bodyfitness (the European equivalent of figure) at the 2005 World Championships, Malacarne hadn’t competed since placing 16th at the 2010 New York Pro. But Malacarne’s muscle seemed just right for physique, as she scored straight firsts on the judges scorecards in what was the largest Women’s Physique lineup of the year. Teresita Morales placed second while Thailand’s Penpraghai Tiangngok finished third. Previous articleIFBB NY Pro Galleries! Next articleNPC Jr. USA Paparazzi Photos!